Lara was born and raised in Washington, Missouri. She earned her Bachelor’s degree in Integrated Communication while playing soccer at Spring Hill College in Mobile, Alabama. 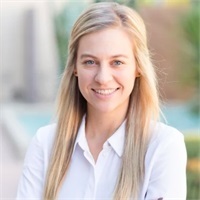 Lara began her corporate career working for a financial marketing firm before moving out West in 2015. In her time outside of work, Lara enjoys hiking, traveling, hot yoga, playing recreation soccer, gardening and spending time with family and friends.